The domestic force is not to be underestimated, many niche designer brands with unique Chinese characteristics are growing vigorously. 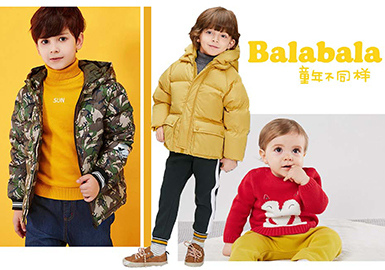 Kidswear brand Balabala is owned by Semir, we analyze the brand from the view of market data, colors, patterns, design details and store image for your information. The Italy-based brand TWIN-SET is founded in 1990 by Simona Barbieri and Tiziano Sgarbi, it is renowned for its detail design and romantic knitting apparel. 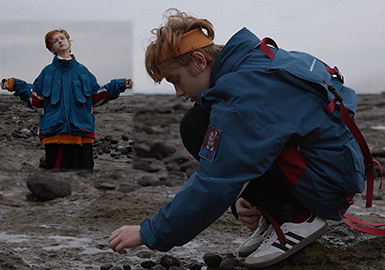 The style is casual and sporty, looks are mainly sweaters and short baseball jackets and the colors are anchored by reddish orange and black. 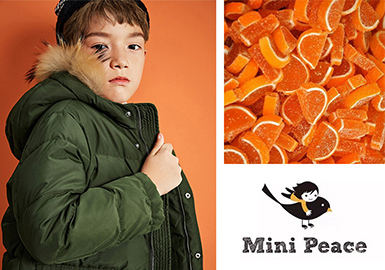 Kidswear brand Mini Peace is owned by Peacebird, we analyze the brand from market data, styles and store display. This season, mustard and light earth tone dominate moimoln. Blouses in these natural and naive colors are ideal to wear in early autumn. Dresses and suits take a large proportion, followed by outers and pullovers. 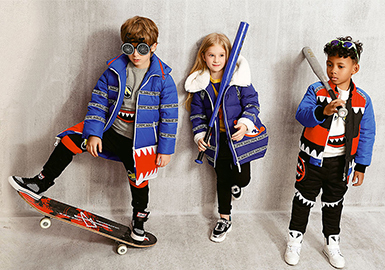 The trend of individuality drives the development of kidswear, here are the brands we have our eyes on. 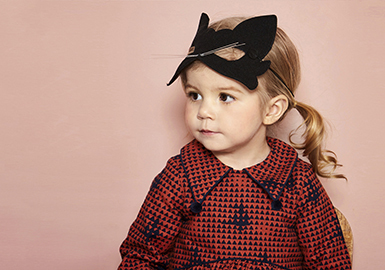 The Paris-based Blune is a noteworthy kidswear brand in this season. 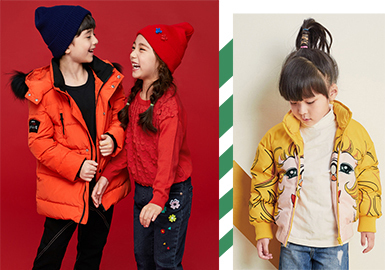 Korean baby and toddler brands have gained much attention. 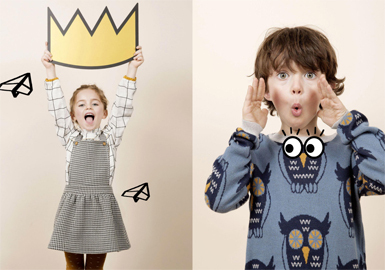 Allo & Lugh, Alfonso, Agabang and Ettoi give off a pared-back fashion sense, BEBEZOO and BEBE DE PINO reflect a playful and cute quality, while Choco.el and moimoln are fresh and simple, all worthy of reference. They provide inspiration for patterns and crafts. Military green and ink blue take large proportion of the styles, the rich colors deliver a strong forest atmosphere, combining with stitching and spliced fabric to enhance the sense of layer. Jacket and dress take a large proportion , skirts and shirt take second place. Catimini was founded in central France in 1972 for a highly creative brand. 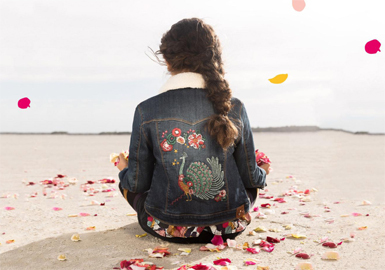 It evolves from the Middle Eastern style with intense colors to the Japanese and Korean style with cute cartoons. 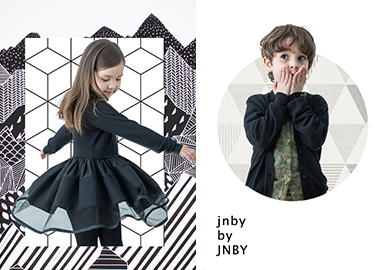 The approaches of previous seasons continue, with plant and animal patterns to reflect kids' personality. 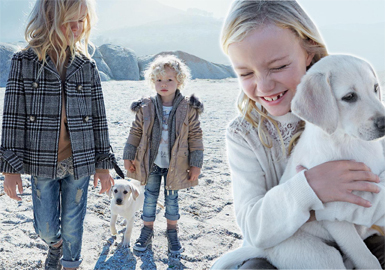 Bambino series takes inspiration from parents' wardrobe, Caltagiorne pattern, agate and flower element continue to influence the kidswear. Palette is anchored by classic red, white and black, complemented by green and blue. Cartoon animals are widely seen in this season, such as cats and Donald Duck, creating a playful and novel style.